Please explore our primary services list below for supported technologies that may be appropriate in your teaching and research. If you have questions about ITech services, please contact your departmental liaison, email ITech or call Jonathan Leamon at 413-597-4468. The makerspace in the CET is a place to make the digital world real. 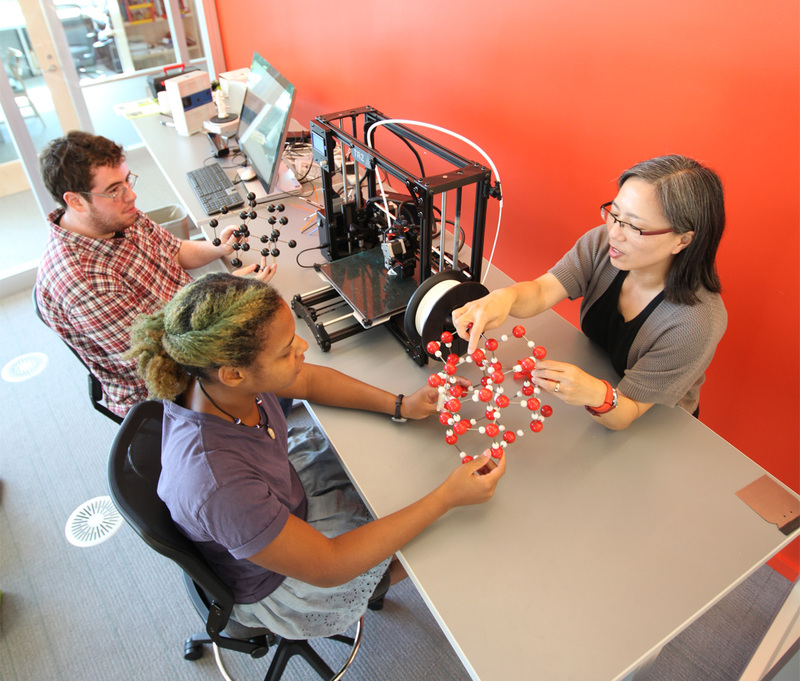 With a 3D printer, 3D scanner and a variety of software and hardware tools it’s staffed by students who can assist with printing, or help you learn how to develop your own models and projects. The makerspace and equipment is available to any member of the Williams community. If you’d like your class to incorporate 3D printing into your course, please contact your ITech liaison in advance so we can schedule the equipment. For students that are unfamiliar with the technology, the best way to start a project is to stop by when the room is open and talk to one of the student staff. Faculty and staff can also contact Jonathan Leamon ([email protected]) with any questions. There are FAQ’s and other help documentation available on the makerspace’s website, or stop by the room when it’s open. You can also contact Jonathan Leamon. 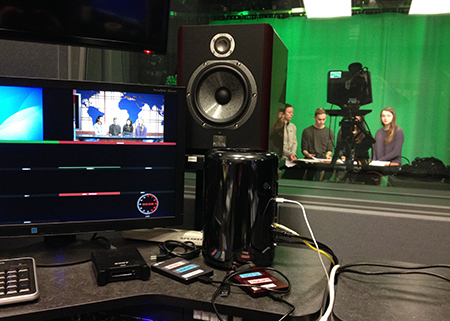 Media Services provides limited support to academic and student group events. This includes operating or consulting for live sound and projection for lectures, panel discussions, screenings, and performances. Please contact your ITS liaison to schedule a meeting. The CET is Williams new facility designed to enhance the relationship between learning and technology. It houses a number of new and exciting facilities and resources, the student help desk, most of the staff of the Instructional Technology group and several from Desktop Systems. By juxtaposing resources for faculty and students with instructional technologists and librarians, the facility provides a new depth of support and collaboration for technology in education. Read an article on the CET from the Williams website. The CET is open during regular building hours. Check the library website for details. The CET takes up the south side of the second floor of Sawyer library. Click the image below to see the locations of specific resources & facilities. The way it works is you install software that adds toolbars to PowerPoint so that you can add interactive polling slides. Installation instructions can be found on the tabs above or at https://oit.williams.edu/software/entry/889/. When you present your slideshow and arrive at an interactive polling slide, students use polling devices to vote. The radio signals from the polling devices are collected by the computer through a USB shaped radio receiver. The radio signals travel every direction so no pointing of the clickers is necessary. A green light on the polling device indicates that the vote was received. While polling is open, the last button pressed on the clicker will be the vote that counts. 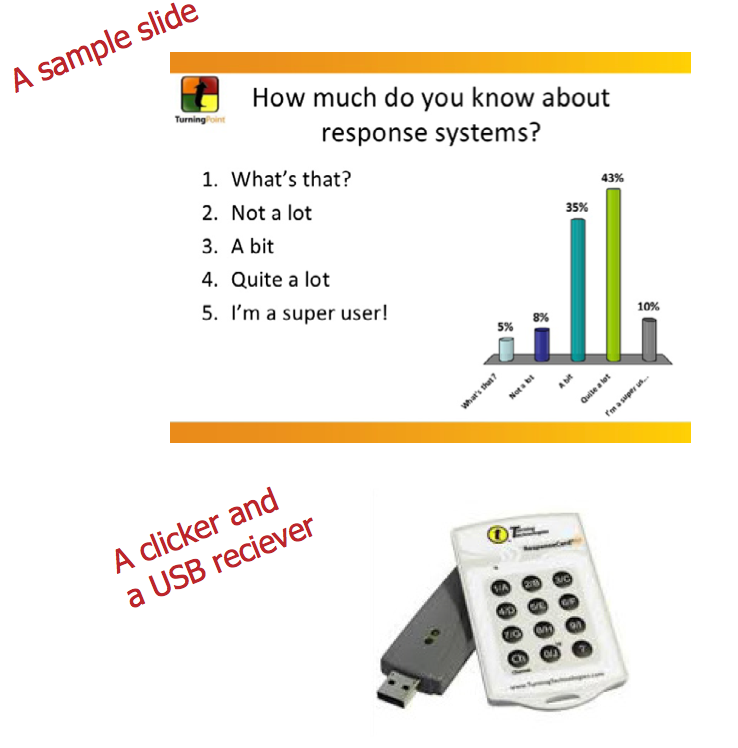 The slide toolbar has a count of how many clicker responses have been registered. Regular PowerPoint slides can be mixed in with the special interactive polling slides. Where can I get clickers? Sets of clickers can be borrowed for the durration of the semester by contacting Trevor Murphy at [email protected] Demand often exceeds supply, so advanced notice is required. In some cases, clickers are shared by several faculty members who have a classroom in common. We have also been trying polling using cell phones: http://www.polleverywhere.com/. 1. Click to open the TurningPoint Cloud application on the PC. Do not open PowerPoint first or double click on your PowerPoint file. 2. 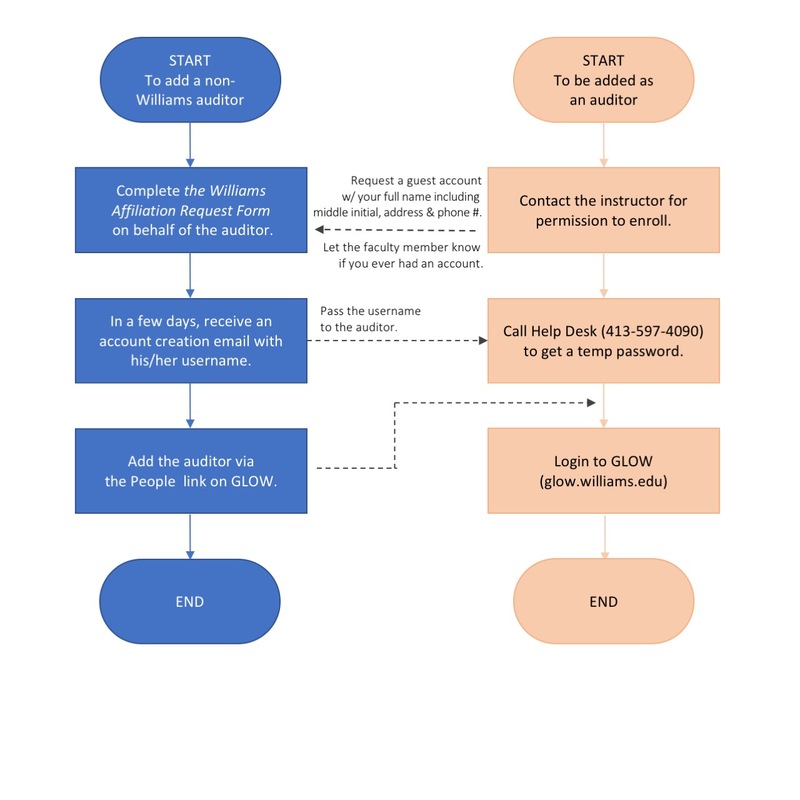 Create an account or sign in with your existing account. Use your Williams email as your id. The password can be anything you want. You will have to verify the account via email. 4. Plug in your USB receiver (looks like a thumb drive) and select PowerPoint polling. 5. Find the TurningPoint tab in PowerPoint. 6. 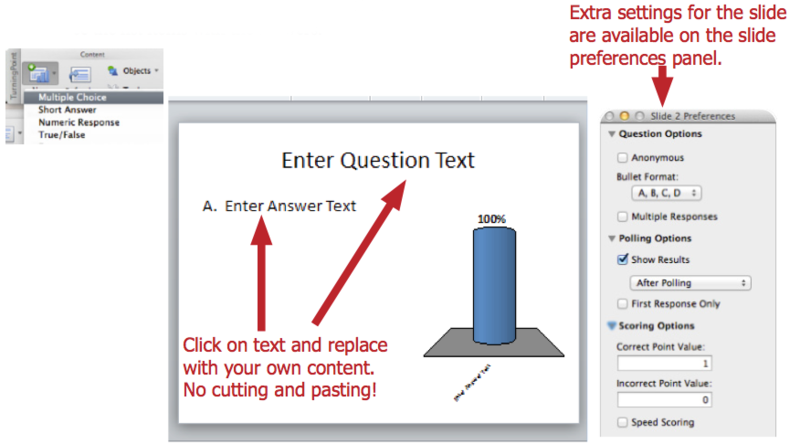 Select new multiple choice slide.Replace the text in the title area with your question and replace the list items with the answers. Do not cut and paste. Select new multiple choice slide. 7. 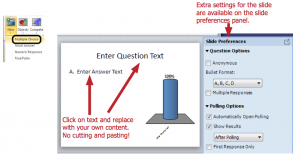 Mix regular PowerPoint slides in with the interactive polling slides. Save the slideshow just as you would save a regular PowerPoint slideshow. Also, try to avoid too many interactive slides. 5 is a good number. 10 can be repetitive and uninteresting. Save your slideshow with the PowerPoint menu option: File: Save As. 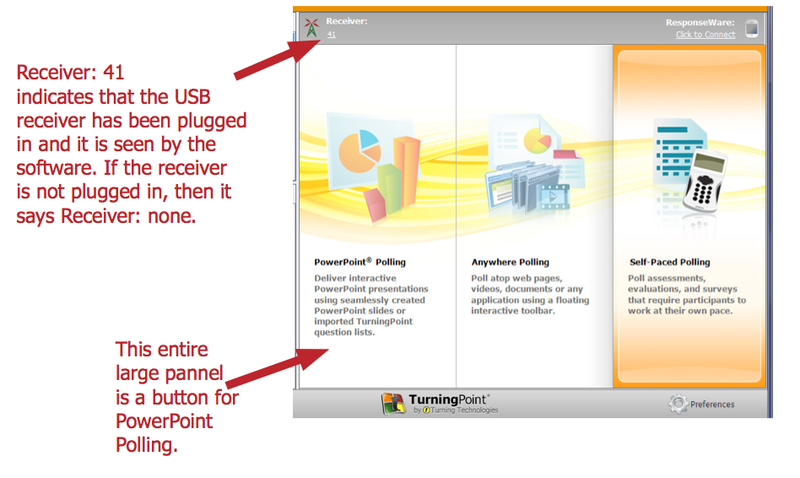 Remember: The save button in the TurningPoint tool bar is only for the clicker response data, not your presentation. 8. Start your slide show. Just start the PowerPoint slide show the way you normally would. 9. 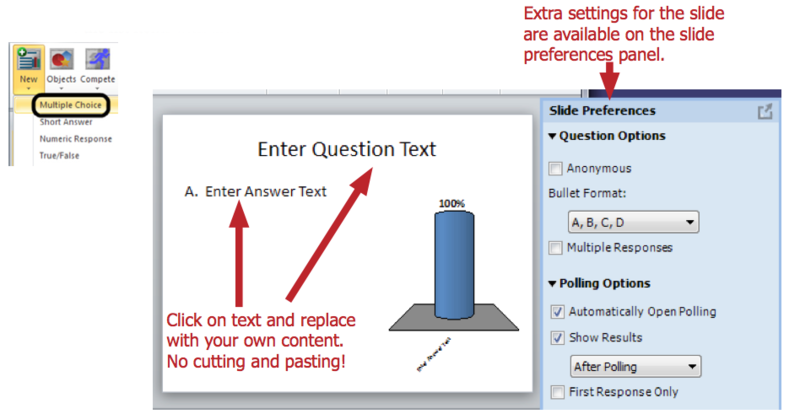 Manage Polling: When you arrive at a polling question, the slide is open for polling. One more slide advance and the polling closes; the resulting graph is displayed. Another slide advance, and the next slide is displayed. A useful feature to be aware of is the ability to re-poll a question. During the slide show, there is a toolbar present. 10. Assess how it went and consider more advanced features. Contact your ITech Liaison about changing the way you use clickers in your teaching. Use your Williams email as your id. The password can be anything you want. You will have to verify the account from your email. 3. Make sure PowerPoint is closed and open the Turning Point application. 5. You will see PowerPoint open with a floating TurningPoint toolbar. Floating TurningPoint Toolbar for Mac. 6. Select New Multiple Choice Slide. Replace the text in the title area with your question and replace the list items with the answers. Create a new polling slide on the mac. 7. 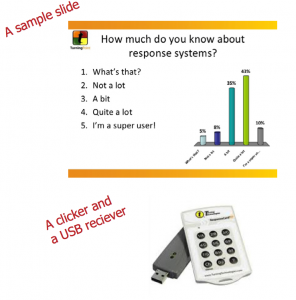 Mix regular PowerPoint slides in with the interactive polling slides. Save the slideshow just as you would save a regular PowerPoint slideshow. Also, try not to have too many interactive polling slides. 5 is a good number. 10 is too many. 8. Start your slide show using ONLY the special TurningPoint Toolbar slide show start button on the floating toolbar. That is the only way to get the polling software to function. During the slide show this toolbar will be open. 10. Asses how it went. 1. Go to https://account.turningtechnologies.com/account/ and create an account. You will be presented with a screen that has a check box that asks if you want to open polling every time you open PowerPoint. I recommend checking the box. Check out the Classroom PC or Classroom Mac instructions to see how to use the software and hardware to create polling slides in PowerPoint. Williams has computer labs in several buildings on campus. During the term, these are typically available whenever the building is open. Most computers require a Williams College username and password to use. Certain specialty labs are limited to students enrolled in particular courses. 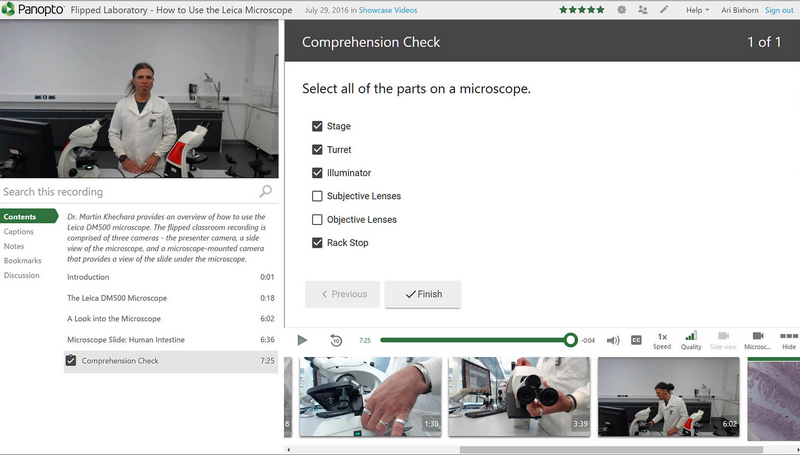 Specialty labs have additional software & hardware to support specific academic topics. *: access restricted to specific users. These classrooms are often scheduled for classes or other course-related events. When there isn’t a scheduled class session, they are available for general use. In addition to the computers listed, they also have a lectern computer system and a full set of classroom presentation equipment. Collaboration Stations are available for use. These spaces provide a large screen with multiple video inputs. 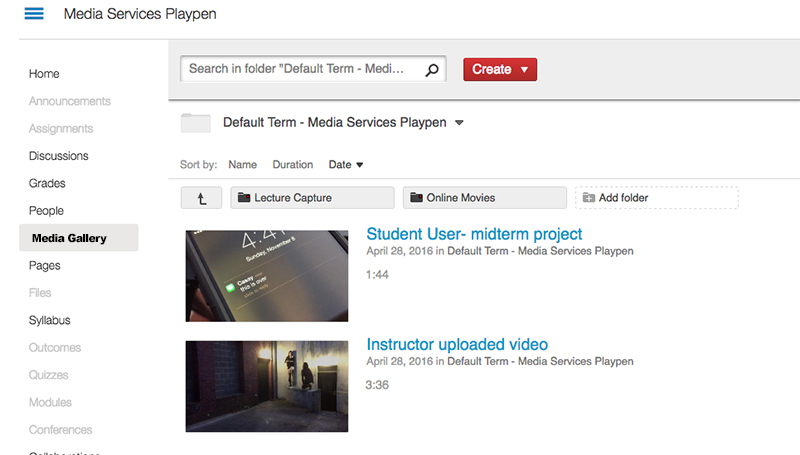 Williams is using a video streaming platform called Panopto for delivering video and audio content in GLOW, Williams’ course management system. 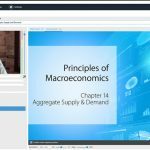 With Panopto, you can also create engaging course videos for your students by recording your computer screen with audio. The Project Group – a subgroup of Instructional Technology – plans, manages, implements, supports, and consults on a wide variety of software solutions and information technology projects. Our primary mission is in support of faculty in their academic work (both research and teaching), but our work frequently bears on the administrative realm as well. We work with established technologies and explore new ones. Our projects range from collaboration with individual faculty to development of campus-wide programs. We offer assistance to individuals and departments in researching software as a solution and we also do custom programming when there is a need but no available market solution. Data Collection Systems – a number of systems for which we automatically collect, store and publish data. The active data collection systems are: HMF weather, Shepherds Well Wind Station, Morley PV (photovoltaic), Library Offsite PV, Building Energy Use, All-Campus Energy Use, ’66 Center PV, ’66 Center Building Camera, and ’66 Center Water. Signup Sheets – provides signup sheets (with notifications) for labs, office hours, study sessions, etc. Virtualization: Docker and Vagrant – Docker and Vagrant offer the ability to run software on your laptop using a virtual server. For example, we enabled the Art Department to demo the Getty Scholars Workspace using Docker installed on a portable WindowsToGo thumbdrive. Docker and Vagrant are quick, creative solutions that facilitates testing a product locally on a virtual machine without requiring a full server installation. Media Services team provides support to all classrooms, auditoriums and electronic classrooms. The Media Services team is available for immediate A/V help during the semester from 8 AM to 8 PM, Monday through Thursday, and 8 AM to 5 PM on Fridays. Normal hours outside of the semester are 8-5, M-F.
To find out about the equipment available to faculty, staff and students, please follow this link to the Equipment Loan Center. 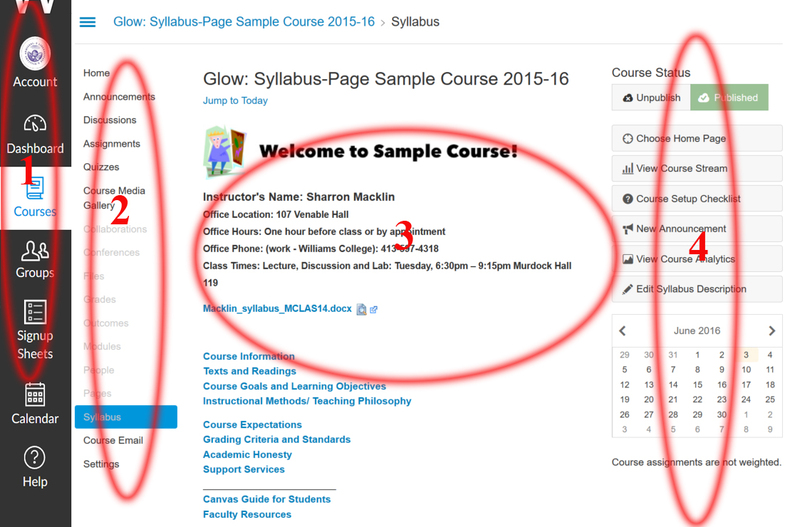 GLOW is Williams’ Course Management System. 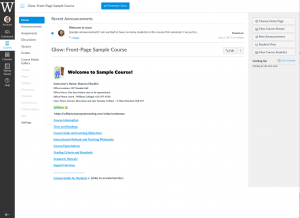 (glow.williams.edu) It’s a web-based and easy to use platform that supports instructors in their teaching and communication with students. 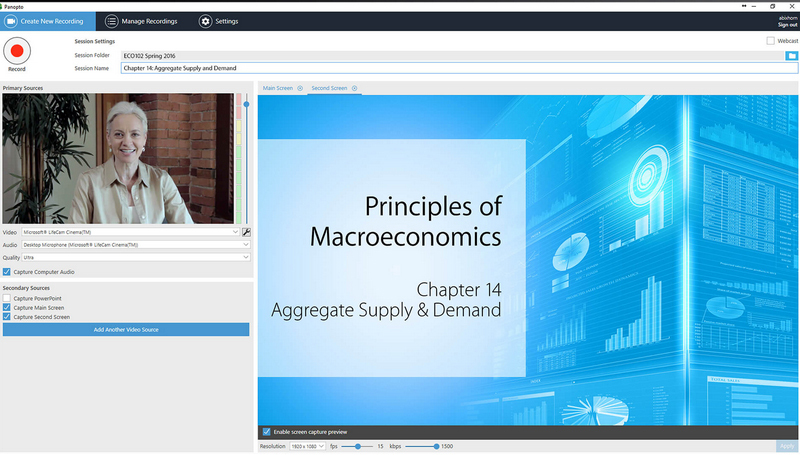 GLOW provides a suite of tools that makes it easy to put course materials online, including video and audio. It can also help faculty engage with students in a variety of ways including discussion forums, the online scheduling (Signup Sheets) of office hours and lab experiments, and the assignment collection and grading of quizzes and homework to name a few. Q: How do I sync interactive video quizzes to the Gradebook in GLOW? For more on Panopto, visit this page. 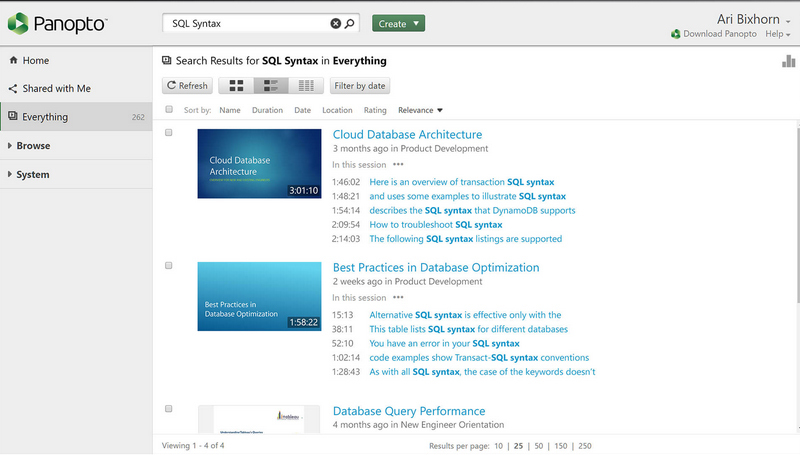 Q: How do I request library materials to be streamed in my course? Gradebook: What's new in 2019? 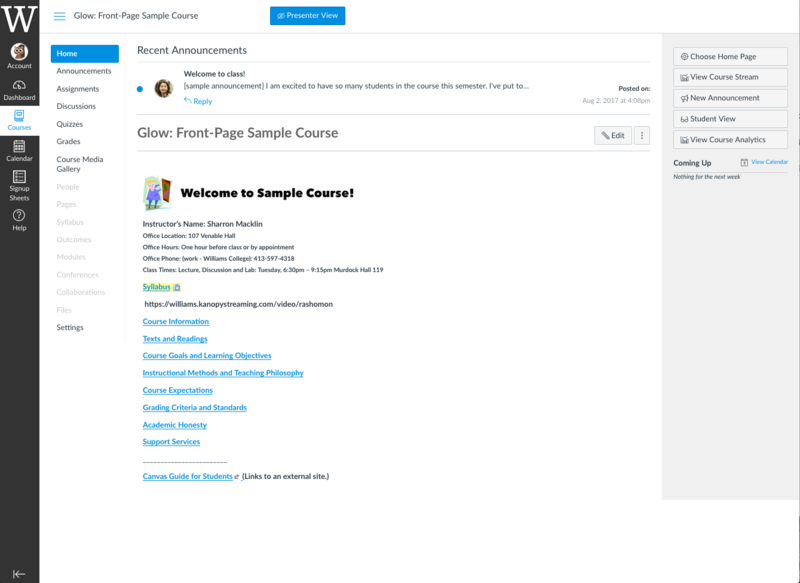 How do I use the new GLOW Gradebook? The top of the Gradebook includes global sorting options and settings you can use to organize your Gradebook , which will populate the selected student data  and assignment data . The top of the Gradebook includes sorting options and settings you can use to organize your Gradebook , which will populate the select student data  and assignment data . 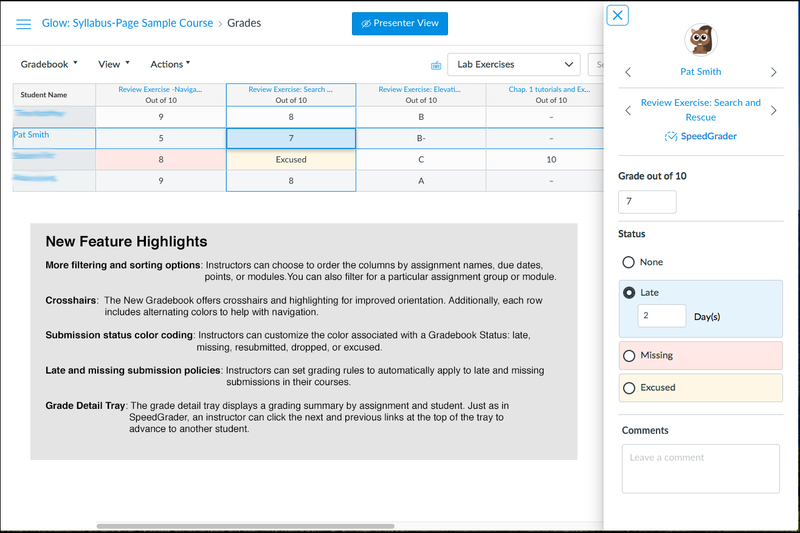 Learning Mastery  displays the Learning Mastery Gradebook, which assesses outcome standards being used in Canvas courses. This gradebook is a course-level feature option. 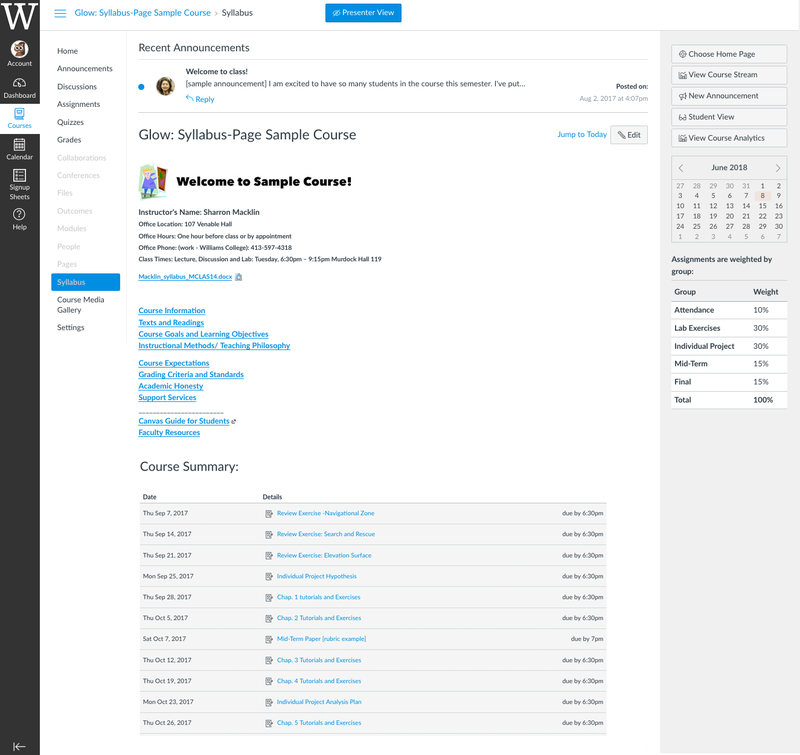 Individual View  allows you to assess one student and one assignment at a time and is fully accessible for screen readers. Individual View currently does not support settings and options from the New Gradebook. 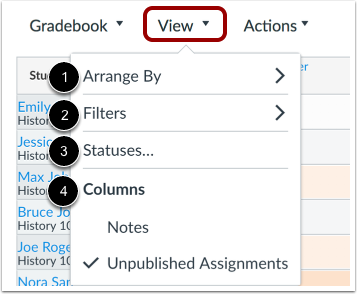 Gradebook History  displays the Gradebook History page, which logs recent grade changes in the course according to student, grader, assignment, and date. You can switch between gradebooks at any time. 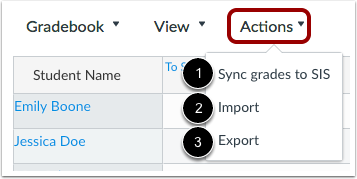 The Actions menu allows you to sync grades to your institution’s student information system (SIS), if applicable. 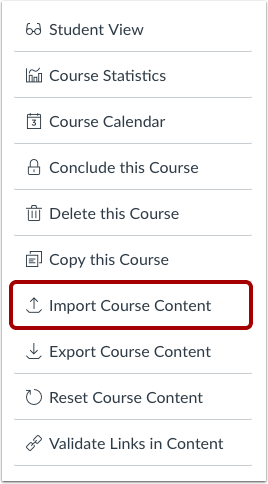 To bulk manage student grades in the Gradebook, you can also import grades  and export grades . Note: Currently the Gradebook Export CSV file data includes all Gradebook data regardless of filtered or sorting options. The Gradebook Settings allow you to apply late policies in your course . 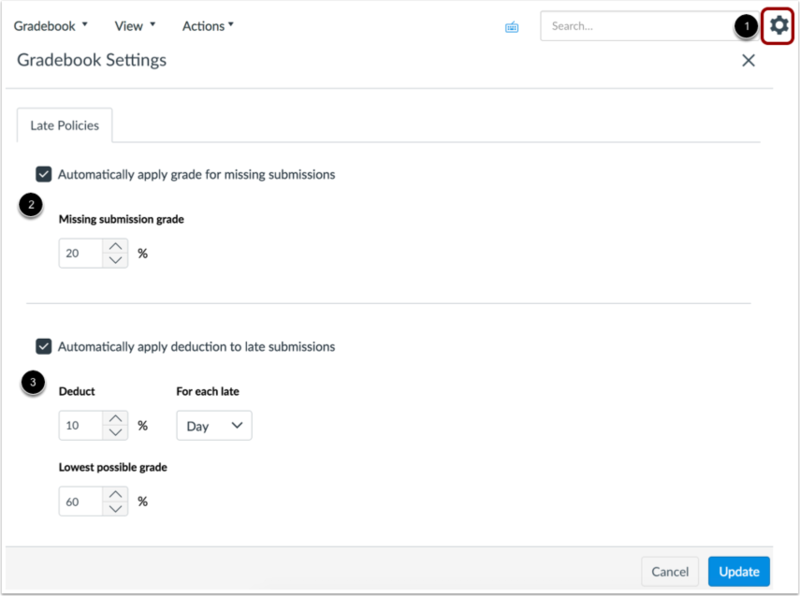 The Missing Submission policy allows you to automatically apply a grade for submissions labeled as Missing . A submission is labeled Missing when the due date has passed and the assignment has not been submitted. The Late Submission policy allows you to automatically apply a defined penalty to submissions with a status of Late . A submission is labeled Late when it is submitted past the due date. Additionally, you can define a threshold under which a student will not be scored, regardless of how late the submission is when submitted. When entering grades, the New Gradebook displays crosshairs and highlighting across the row and column for improved orientation. To enter grades, type the grade as supported by assignment type directly in the Gradebook cell . You can access SpeedGrader and also enter grades and change the submission status by clicking the Grade Detail Tray icon . If you need further help using Glow, setting up a new course, or copying your old course, please contact your Instructional Technology Liaison. A Geographic Information System is like other business intelligence systems, and is comprised of technologies that support the collection, analysis and management of spatial data (i.e. geographic locations, distributions, or areas). Spatial data are information about all aspects of space, and can be connected to other business information that is routinely collected. Spatial relations tell us about distributions, connections, correlations, and sometimes causations between spatial data. These relationships can be compared over time to better understand changes and patterns. ​This means that GIS doesn’t just answer the question ‘where’, it can also answer the questions ‘what’, ‘who’, and ‘when’ – but most importantly it has the potential to answer the questions ‘how’ and even ‘why’. At Williams, GIS is supported in a dedicated lab, through the use of software, in classes, and by Instructional Technology staff. Who can use GIS resources? All Williams GIS resources are available to faculty, staff and students. Where are GIS resources located? To the degree possible, GIS resources are distributed throughout campus. How do I access GIS resources? ArcGIS and other GIS software are licensed by the college and installed on all the computer lab PCs campus wide. In addition, QuantumGIS (QGIS) is available on computer lab Macs (while ArcGIS is only available for the PC, it can be run on a Mac by creating a Windows partition with Bootcamp). *Note that Mac computers (even with dual-boot Mac or PC) may not have hardware that is compatible with some commercially available GPS and field data collection devices. Faculty and staff may request to have the software installed on their Williams owned machines. Senior thesis students may request to have ArcGIS installed on their computer for the academic year. How do I get GIS assistance? For assistance please email Cory Campbell or call 413-597-4318. ENVI/GEOS 214 – Remote Sensing and GIS a lecture/lab class taught Spring semester only. ENVI 102 – Introduction to Environmental Science has a GIS Module. ENVI 302 – Environmental Planning Workshop has a GIS introductory module. GEOS 401 – Global Tectonics and the Rise of Mountains uses GIS and spatial modeling software for portions of the course. The primary mission of Media Services/Classroom Support is to develop, implement and support multimedia presentation systems in classrooms and in large presentation spaces such as Chapin Hall, Brooks Rogers Auditorium and Griffin 3. In addition, we assist with the planning and development of technology needs for a wide variety of campus events and aslo assist with the use of the CET recording studio. The Music Composition room is Sawyer 274. The room is equipped with a computer workstation with hardware and software for audio manipulation, synthesis, and sequencing. The software includes Studio One, ProTools, Komplete, Max, Ableton Live, and WaveLab Elements. Faculty, staff, and students can use the room during Sawyer Library hours. There is a piano in there, can I just play piano? No, the piano is a midi device without speakers. It sends data to the computer. With some training, you can learn to route the signals from the piano keyboard to software where sounds can be assigned to the notes and that output can be routed to the speakers or headphones. It is not as simple as turning it on and playing. Please do not unplug cables if the station is not working. Send an email to Trevor Murphy at the address below and he will set up the station to work properly. Get training to learn how the station works. Ask for the key for 274 from the Library Circulation Desk. Request help from Trevor Murphy. Several student workers who are trained as Student Technology Consultants will also be able to support the space. For more information, please contact Media Services. The Video Conference room is a 20-seat conference room with high-definition teleconferencing equipment allowing room-to-room communication with similarly equipped facilities at remote locations. The video conferencing room will be available to faculty, staff, and students. The room is available by reservation only. We recommend making reservations two weeks in advance. It can be used with the assistance of an operator, or with advance training. Call Media Services at x2112. The facility is in Stetson room #308, on the entrance level of Sawyer Library. Links to more information are below, or call Media Services at x2112. The new video conferencing room at the Center for Educational Technology provides high definition connections among participants that promote a high quality level of video presence. The video conferencing room will be available to faculty, staff, and students. Past academic uses of video conferencing at Williams have included our professors team-teaching with professors in Finland, Australia, Tel Aviv and Cairo; students taking oral exams in Arabic with a professor at Emory University; a Japanese professor and her students chatting with people in Japan; and professors collaborating and sharing work with faculty at other institutions. Locating our new high definition video conferencing facility near the offices of media services specialists means that OIT staff are readily available to help ensure a successful videoconferencing experience. An additional benefit of this facility is that information technologists, librarians, and other professional staff will be able to connect with colleagues at other institutions without having to leave campus. For Media Scholarship for classes, please check the IDeaL Program and Strategies link. Amazon’s Mechanical Turk (MTurk) is a crowdsourced Internet Marketplace for work that requires human intelligence to complete. Transcription is the process of converting spoken or written communications from one format or medium to another. … Automated transcription is where a computer program performs the transcription process for you. The Lightboard is a low technology solution that facilitates the recording of good quality instructional videos without any post-production editing. It’s a piece of transparent glass-like ‘whiteboard’ illuminated with LED lights. Differentiate Assignment is a built-in feature of Glow that lets you create different due dates and/or availability dates for content releases. MasteryPaths, also a built-in feature of Glow, is based on differentiate Assignment. When both used together, they allow you to design and customize the learning experiences of each student based on their performance on a particular assessment. MATLAB Distributed Computing Server™ (MDCS) lets you run computationally intensive Matlab™ programs and Simulink models on high performance computing clusters (HPCC). Quizlet is a free digital study tool available online and for any mobile device. 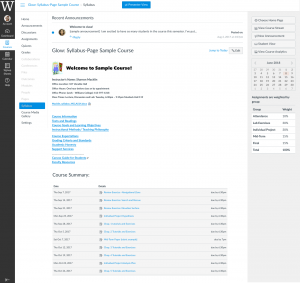 It allows instructors and students to create study materials. Netlytic is an open-source and community-supported analytical tool that can summarize and visualize large volumes of text and discover social networks from conversations on social media sites such as Twitter, Youtube, blogs, online forums and chats. StoryMap JS helps you tell stories by utilizing interactive maps, text, and multimedia. Timeline JS is a free, open­ source tool from Northwestern University Knight Lab. Timeline JS works in tandem with a Google Sheets Template to make production of visually rich and interactive timelines quick and easy. SoicoViz is a social media analytics platform that can help you to analyze large volumes of text in terms of hashtags to identify key influencers, opinions and contents from conversations on Twitter.